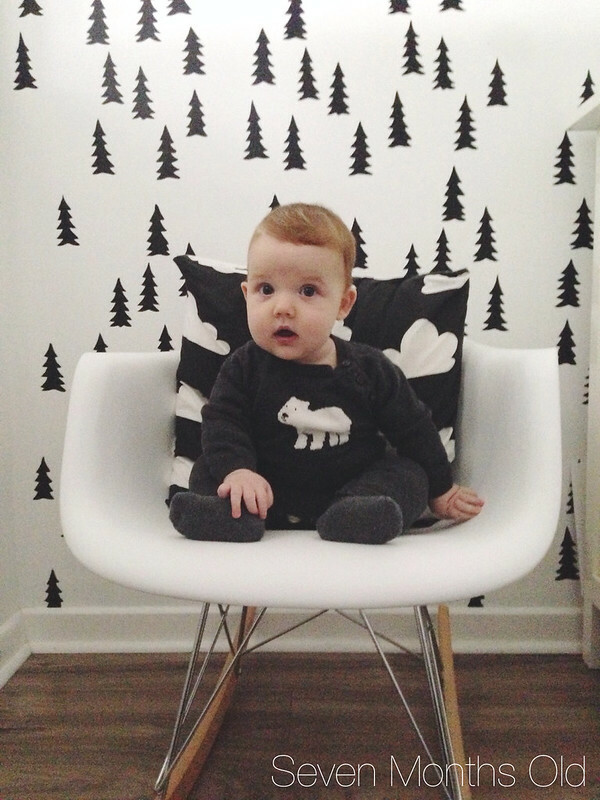 The A & B Stories: Sawyer - Seven Months! Month seven is rather interesting for this little man. We are in the thick of teething, and some days/nights are really really tough. But, he's such a trooper about it. There's a lot of snuggles and hours upon hours of nursing but I'm happy to oblige. Poor thing! Sawyer has really discovered his voice lately and is doing this sort of cooing/singing bit a lot. It's very loud and adorable. Ben thinks it's the funniest thing in the world. Also, solid foods! Oh we are discovering new veggies and fruits and he's loving it. Except for carrots. And peaches. But peas are a real hit.